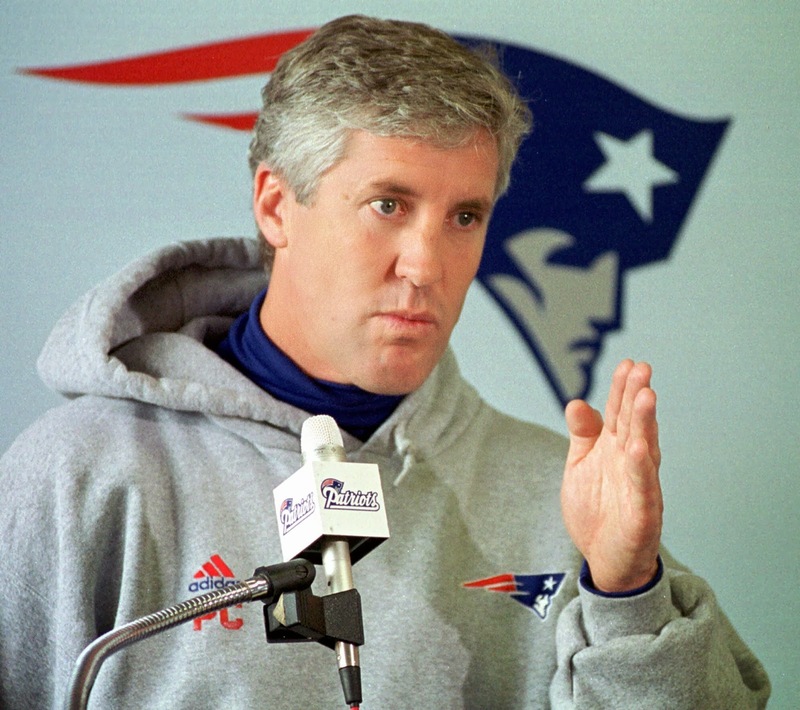 We've had a full day to digest it, but "Super Bowl Champion Pete Carroll" still has a weird ring to it. For most New Englanders, it will always be hard to shake the image of "Pete the Poodle", the comically overmatched and energetic coach that patrolled the Patriots sidelines for the three seasons in between Bill Parcells and Bill Belichick. However, Carroll's coaching record since leaving New England is undeniably impressive. In college, Carroll built USC back up to a dynasty, winning two AP National Championships and finishing with an absurd 97-19 record. It's impossible to discuss Carroll's USC tenure without delving into the Reggie Bush scandal that resulted in 14 wins being stricken from USC's record (bringing Carroll's record down to merely 83-19), but it's hard to deny the job Carroll did in turning what was a struggling program back into a national powerhouse. Despite his success at USC, Carroll's most impressive work has come during his four years as Coach of the Seahawks. In Seattle, Carroll has gotten the chance to fully "pick out the groceries"; general manager John Schneider largely serves as an advisor to Carroll, who holds final say in all football decisions due to his executive vice president of football operations title. As a result, Carroll has completely rebuilt the franchise in accordance to his plans, leaving his fingerprints all over the Seahawks Super Bowl victory. All of this bears the question: could Carroll have had similar success in New England given a better opportunity? A quick glance back at Carroll's brief Patriots career shows a number of obstacles that prevented him from reaching his full potential here. For starters, he didn't have close to the amount of personnel power he has now at Seattle, as VP of Player Personnel Bobby Grier was largely responsible for the team's lackluster drafting during Carroll's three years, creating a dearth of talent that contributed to the team's win-loss record declining for four consecutive seasons. Furthermore, he was not only replacing a legendary coach in Bill Parcells, but a legendary hardass as well. Carroll's energetic, players-coach approach has worked in Seattle, but he reportedly loss the respect and control of his locker room while in New England. Even without those obstacles, I personally don't think Carroll would have found great success in Foxboro. While Carroll obviously has a lot of talent as a coach, it certainly appears that he learned from his mistakes and got stronger as a coach every step of his career. Carroll himself has cited his getting fired from New England (and the subsequent year off from coaching) as a major learning moment, one that made him more aware of his strengths and weaknesses. I'm not so sure Carroll becomes the great head coach and team builder he is now without that wake-up call. Furthermore it's hard for me to make the leap to saying Carroll would be the same personnel mastermind he is now if he had the same amount of power 17 years ago. Carroll's shrewd drafting (likely aided by his recent college experience) has been the catalyst for Seattle's success. Not only have the Hawks filled out their depth with late round picks like K.J. Wright (4, 2011) Byron Maxwell (6, 2011), Super Bowl MVP Malcolm Smith (7, 2011), Kam Chancelor (5, 2010), but finding Superstar production in the third (Russell Wilson) and fifth rounds (Richard Sherman) gave the Hawks cap flexibility to make the final push via free agency to a Lombardi worthy roster. Now, this is not to say Carroll would have failed in New England regardless of circumstances. The fact is we'll never know what he could have done with full control over personnel here. However, we do know that Carroll has evolved as a coach over the 14 years since getting fired in New England. While he might have built his way up to success, it's hard to envision Carroll recreating what he's done in Seattle earlier in his pro career. Personally, I think the Patriots are alright themselves in the head coaching department. Just my 2 cents.